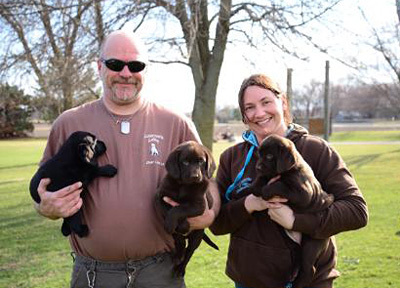 Welcome to Luscomb Labs, a state-licensed breeder of Labradors. Located between Minneapolis, Minnesota and Des Moines, Iowa on Interstate 35, Luscomb Labs is set on a family farm North of Clear Lake in picturesque countryside. Luscomb Labs is a small kennel that raises quality AKC labrador puppies that are a perfect addition to your family as a pet or a trusted hunting dog or companion. 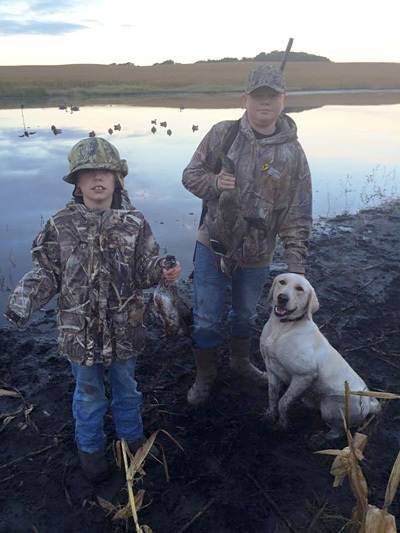 Our labs have a strong hunting background and they are loving family pets when they aren’t in the field. The pups are bred to our standards; cross between an English with blocky heads, broad chest, and American that stand a little taller. We breed five (5) colors of labs: Chocolate, Yellow, Black, along with our Dilute Gene Silvers and Charcoals. Our puppies are socialized by us and our children with playtime in the yard. Their dewclaws are removed between 5-7 days. They are wormed at 3, 5 and 7 weeks and they receive their first vaccination at 6 weeks. All puppies go to their forever homes at 8 weeks. Silvers and Charcoals: (Males and Females): $1000.00A $200.00 deposit is required to reserve a puppy. Be first in line to choose your new best friend! Please reserve a spot for your choice of available puppies or to pick out yours when new pups are ready!